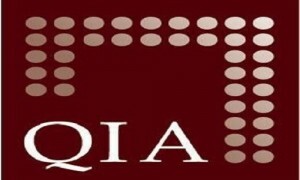 Qatar Investment Authority (QIA) Wednesday announced it has signed an agreement with Accor Hotels Group, Kingdom Holding Company (KHC) of Saudi Arabia and Oxford Properties, an Ontario Municipal Employees Retirement System (OMERS) company for the acquisition of FRHI Holdings Ltd (FRHI), parent company of Fairmont, Raffles, and Swissotel hotels. The transaction will leave QIA and KHC respective stakes of 10.5% and 5.8% in Accor’s share capital. In a QIA statement, CEO of Qatar Investment Authority HE Sheikh Abdulla bin Mohammed bin Saud Al-Thani said: “Since making our investment, Fairmont Raffles Hotels International has become a leading luxury hotel company with an expanded international presence. This deal generates the scale needed to drive the next phase of growth in our real estate and hospitality investments. QIA has confidence in AccorHotels and looks forward to becoming a significant shareholder.” For his part, Accor Hotels Chairman and CEO Sebastien Bazin said “This is an outstanding opportunity to add three prestigious brands – Fairmont, Raffles and Swissotel – to our portfolio, and a great step forward for AccorHotels. It offers us robust and global leadership in luxury hotels, a key segment in terms of geographic reach, growth potential and profitability, for long term value creation.” “In addition, the deal allows us to strengthen our human capital with FRHI’s widely respected and talented global workforce which has a proven track record in operating and marketing luxury hotels. The transaction will also enable the Group to consolidate its shareholder base, with the arrival of two high-profile investors that both have extensive expertise in the hospitality industry. This major acquisition demonstrates the Group’s agility in a fast-changing industry and will allow us to more effectively support our guests, clients and hotel owners. Through it, we are positioning ourselves as a key player in the current industry consolidation process while maintaining substantial leeway to implement our transformation plan,” he added. FRHI includes three of the most prestigious global luxury hotel brands: Raffles, Fairmont and Swissotel. It has 155 hotels and resorts (of which 40 are under development), and more than 56,000 rooms (of which approximately 13,000 are under development).